Pachyderm Studios, little known to locals, is a major player in the world of rock music. permission from Trampled by Turtles PR dept. The kid walking down the school hallway in an In Utero tshirt didn’t realize that the Nirvana album was recorded five miles from his house. The girl who blasts Wild Animals repeatedly in her car driving home from school was stunned that she drives by the studio it was recorded in every day. The teacher who had devoted time to attending The Jayhawks concerts in his prime was thrilled but astonished that they recorded in Cannon Falls. The truth is that if one takes a winding woodland road down the eastern countryside of Cannon Falls they will discover a place filled with music culture. The imaginable echo of past musicians at Pachyderm would reveal the sounds of some illustrious artists. The electric sound of Nirvana’s album, In Utero, was born in that little recording studio in the wilderness. The studio heard Andrew Bird’s violin creating the album, Armchair Apocrypha. 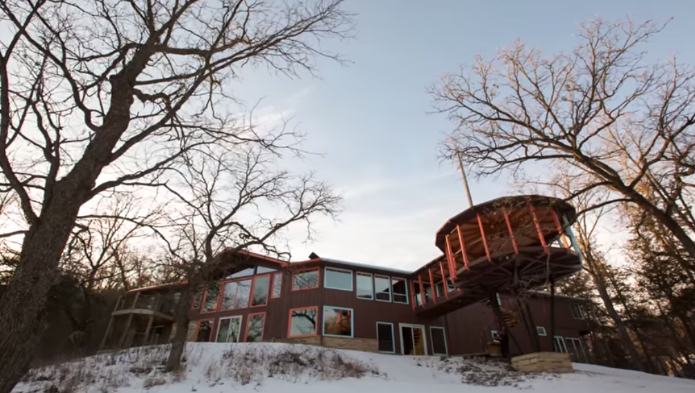 The Jayhawks, They Might Be Giants, Mason Jennings, and recently Trampled by Turtles have also spent time in the northern woods of Cannon Falls at Pachyderm Studio. Musicians escape to get away from the chaos and stress of society and focus on creating their music. Native American tradition believes that January, the period of the wolf moon, is a time of change and rebirth. Trampled by Turtles went in a new direction with Wild Animals, having Alan Sparhawk as their producer in the studio. As the wolf moon continued to phase across the dark winter sky of Cannon Falls, Trampled was moving in a new direction with their rhythm. Staying true to their earthy bluegrass roots,but having a rebirth with the sound of the band. “We just like to not worry about what we did before. We’re not trying to recreate a sound that people necessary like. We just do exactly what we want to do at the time.” Tim discussed his time in the studio with Alan Sparhawk. “He was helping us to look at how we play our music differently and to experiment with that and led us to thinking differently about it. We ended up really enjoying that process and that’s all we really want to do, have fun making something that we’re happy with.” Being in the middle of nowhere allowed the band to stay in the mood and comfortable in their space. The band was inspired by the land around them as they crafted their lyrics about nature’s beauty and the winter chill of weather in Minnesota. 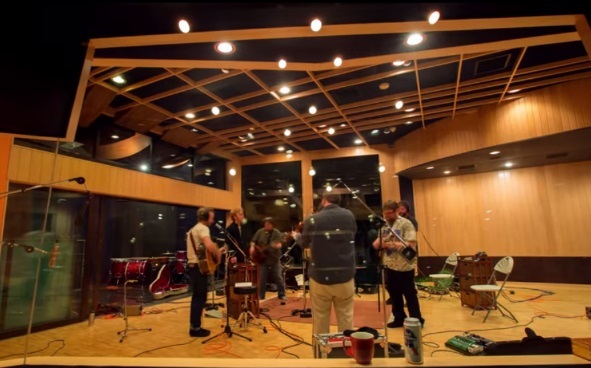 Trampled by Turtles is very familiar with studios like Pachyderm as they look to record most of their albums in remote areas. Their tours have taken them throughout Europe, playing in London, Paris, and Amsterdam and on multiple coast to coast tours of the United States. Saxhaug considers Red Rock in the mountains of Colorado, Nashville, the DC 9:30 club, and 1st Avenue, 40 miles North of Cannon Falls, in Minneapolis, to be his favorite stages to play. Trampled has jammed on the stages of exotic cities around the globe but has also rambled the shore of the Cannon River. They have walked the pavement of downtown main street. Their album that is said to be the best yet was born in Cannon Falls. Trampled by Turtles is only a fragment of the music culture lingering at Pachyderm. Kurt Cobain was considered one of the best songwriters of his generation. His album In Utero was meant to go down a more abrasive and natural road from their previous albums. Cobain chose Pachyderm Studio as the location to bring that sound to life. It was the last in studio album he created before committing suicide in 1994, and has sold more than 15 million copies. Music heals. It fills spaces of confusion within the soul and gives people answers that they have a hard time finding in the real world. It gives joy to sorrowful and mending to hearts. It strikes a chord within the mind and allows people to feel understood when no ones else gets it.It’s the reason students walk down the hall blocking the noise out, consumed by the sound coming from their headphones. Pachyderm is in people’s ears. Nirvana, Trampled by Turtles, Mason Jennings, The Jayhawks, Andrew Bird. These artist are radiating from the headphones that get students through the day. This place is a beautiful secret hidden in the woods. Like the peaceful and powerful beast it’s named after, Pachyderm Studio is reclusive. It doesn’t boast it’s greatness to the world, or even Cannon Falls, but it deserves to be noticed.